Q. 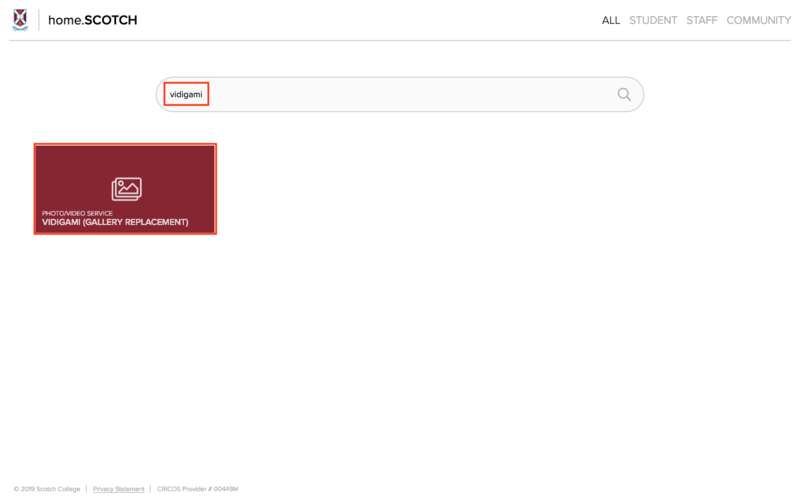 How can I access the Vidigami website? Vidigami is the replacement for the Scotch Gallery website, where photos and videos of school events can be found. 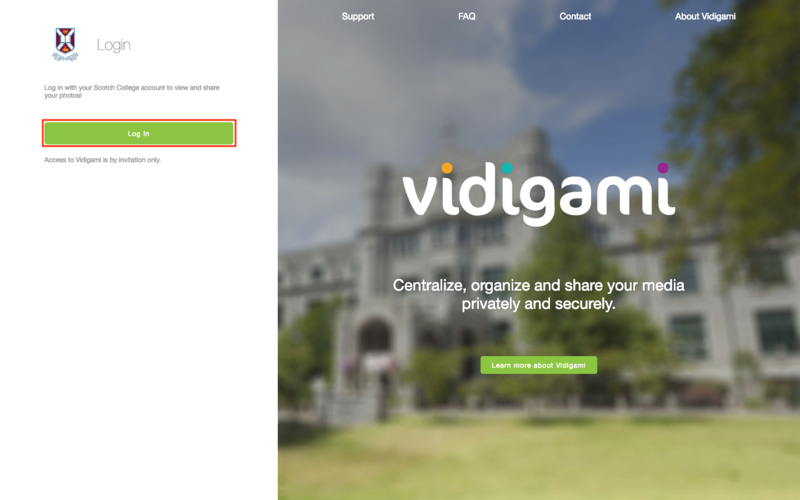 To access Vidigami on your desktop computer, follow the steps below. N.B. 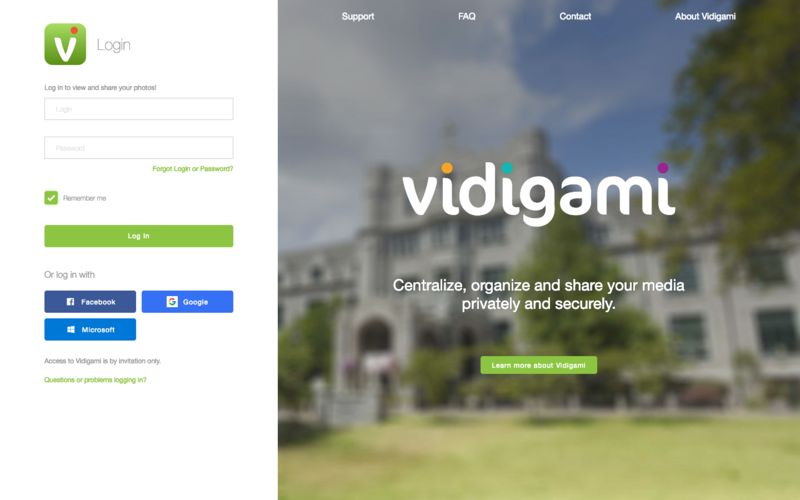 If you simply Google "Vidigami" and try to log in through the regular Vidigami homepage (see below), your Scotch login details will not work. You must go though the steps below to be able to log in successfully. Navigate to home.SCOTCH and search for Vidigami. You should see a "Log In" button. Click to proceed. You are now free to browse and search Vidigami at your leisure. 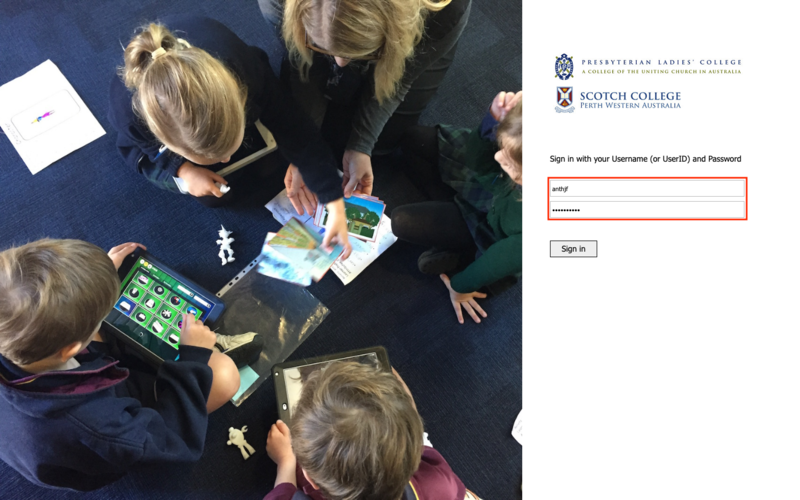 You can also access it directly here - simply click the "Scotch College" button (see below) and you can sign in from there.